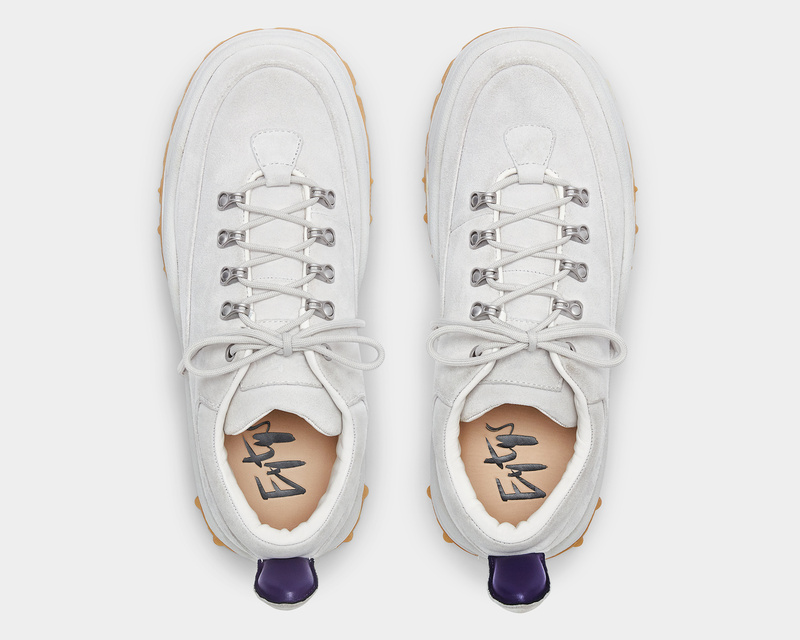 Eytys exclusive. 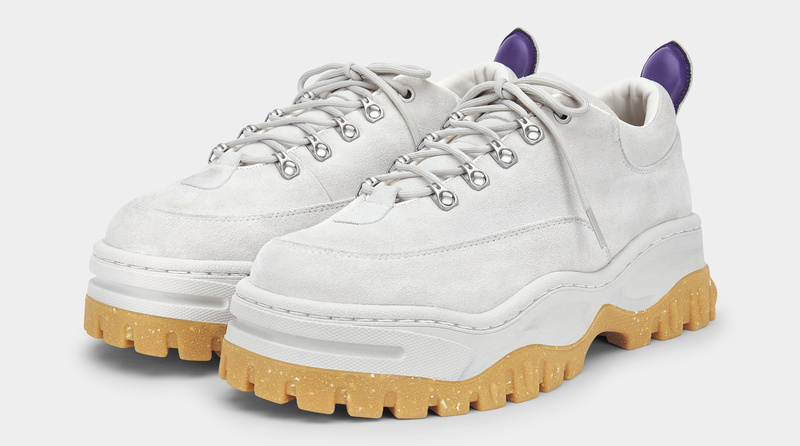 Inspired by ’90s trail shoes and built on a chunky, sidewall-stitched rubber sole. Features round nylon laces attached with heavy-duty metal hooks. Made in silky suede.